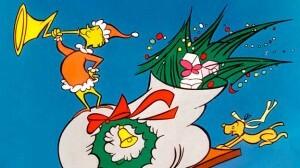 Part of the reason that the story “How the Grinch Stole Christmas” touches us is because of the transformation of the Grinch. He symbolizes everything grumpy, uncomfortable and negative that we can possibly experience during the holiday season. So much noise and rushing about, including the mad dash to buy not only the perfect present, but often as many presents as we possibly can, too. Meeting up with family often brings back ‘not so fond’ memories of childhood and painful relationships are often put through a test of resolve. Who will maintain the facade and be nice? It is a troubling time for some. This is not the case for everyone, of course (!) but it is still often a hectic, if joyful, season. We can all benefit from a meditation to help us replace any negativity with a more positive feeling. And that is just what this short meditation exercise will help you to do. It is a heart based meditation that will help you to refocus and feel the joy and love in each moment of this wondrous time of year. Continue the meditation by thinking about how it feels when you are in the presence of a loved one…think about a pet, or friend, or even just the appreciation you feel for a beloved book or place. Really allow your wonderful feelings about the person, pet or place fill your heart. As you breath in and out, let that feeling move with your breath. Send out all that love and appreciation, then pull it back in with each breath. Imagine that positive feeling as fully as you can and let yourself live there, if only for a few seconds. If your mind happens to wander…that’s okay. Just bring it back to the chosen memory slowly and gently. Keep the good feeling going in and out through several rotations of breath, or for several minutes if you can. Then, to end it, spend a few seconds to observe how you feel now that the love and joy and gratitude have gone through you. How do you feel? Thank yourself for that gift, then move about your day! You can transform yourself at any time, just like the Grinch. And remember! You can use this meditation moment through the whole year and not just during the holidays. What better gift can you give yourself? Joy and love to you all! Do You Like Music When You Meditate?